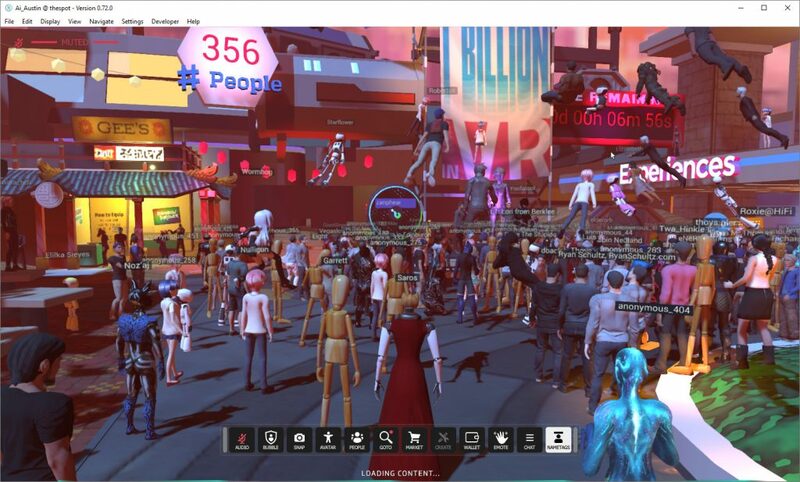 A load test of the High Fidelity virtual world platform took place on 7th September 2018 and at least 356 avatars were in world in the same location at peak. A lot of different tests and exercises were run, including a trivia game. The performance was very good with only a couple of losses of the sound and one or two scene drop outs when logged on from Edinburgh Scotland. 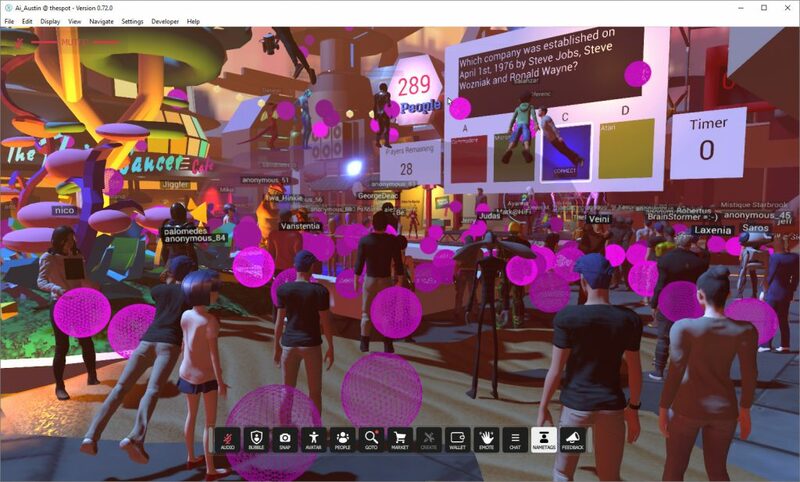 This entry was posted in Virtual World and tagged HiFi, High Fidelity. Bookmark the permalink.